The Bonner Leader Program transforms students to have vital roles in society for nurturing and mobilizing thoughtful, caring, and diverse leadership dedicated to community service. 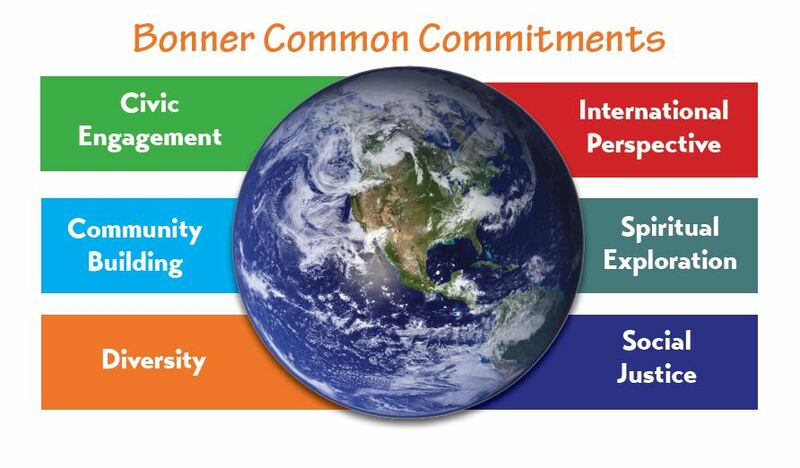 At the core, Bonners believe in educating the whole person, and that learning occurs in multiple contexts and developmentally over time. Bonner Leaders engage in community building, gain leadership skills, learn professionalism, and develop practical skills. Founded by Bertram F. Bonner and his wife Corella Allen Bonner, the Bonner Foundation is a national philanthropic organization based in Princeton, New Jersey. In 1997, the Foundation launched the Bonner Leader Program designed to encourage students to develop lives of service. Today, Bonner Leaders can be found at over 75 colleges across the United States. Are you interested in becoming a Bonner Leader? Apply below by June 1, 2019, to be eligible for the 2019-2020 academic year. If you have any questions, contact Courtney Washburn, Bonner Director, at cwashburn@tusculum.edu or 423-636-7300 ext. 5252.